Aine Clarke analyses the concept of nuclear deterrence, throwing light on changes afoot in the Ministry of Defense. On the 14th Oct 2016, the 71st session of the UN General Assembly’s First Committee voted for the commencement of negotiations for the “general an complete disarmament” of nuclear weapons. 123 nations were in favour of the resolution, 38 opposed and 16 abstained. Negotiations for the motion will begin under a new U.N conference being set up in March this year. With all the commotion in the news of late, you may have missed this historic global event, but it certainly gives us some food for thought about the utility, threat and the position of non-nuclear countries on the existence of nuclear weapons in the world today. How real is the threat and is deterrence still a relevant strategy? When Nicholas Taylor, Principal Analyst in the Defence & Security Analysis Division of the Ministry of Defence (MoD) spoke atWarwick last month, his arrival seemed timely. Indeed, he spoke about the renewed necessity of deterrence – but deterrence, not as we know it. 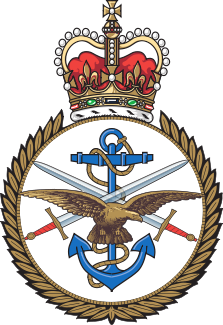 The agenda centred on the need to refresh UK conceptual and theoretical understanding of the concept, to develop deterrence education and training and to update the UK defence doctrine, views that seem curiously at odds with the current government’s rhetoric. For the first time in over 20 years, deterrence has become a focal point for the MoD. The most recent Strategic Defence and Security document published in 2011, and reviewed last year dedicates an entire section to the strategy. There is one glaring contradiction, even in the review – deterrence refers to traditional and coercive measures. As defined in the document “deterrence means that any potential aggressors know that any benefits they may seek to gain by attacking the UK will be outweighed by the consequences for them”. It then goes on to state that a “full spectrum of our capabilities” will be employed in order to achieve this aim, including “armed force” and “ultimately, our nuclear deterrent”, only later mentioning “diplomacy, law enforcement, economic policy, offensive cyber, and covert means”. It is pertinent that nuclear deterrence is second on the list of “capabilities”, however it is exactly this kind of hard militaristic rhetoric that the MoD is seeking to expand. The type of deterrence referenced in the document, categorised as “deterrence by punishment”, is a military strategy formulated, and according to the realist tradition, successfully deployed during the Cold War. The strategy behind this form of deterrence is ominously named Mutually Assured Destruction – aptly abbreviated MAD. The theory holds that nuclear weapons are the ultimate safeguard against aggressors, as the threat of retaliation will invariably bring about the annihilation of that aggressor state. In order for this threat to be credible the state must have a ‘second strike capability’, currently only possessed by the US and Russia. The alternative strategy of Minimal Deterrence, employed by most nuclear weapons states including Britain means that a state must possess only enough nuclear capabilities to pose a credible deterrent to potential adversaries. Capability is one thing, but credibility is most certainly another. A cornerstone of any deterrence strategy is the ability to show a revisionist that non-cooperation has consequences. On a purely rational basis, raising the costs of non-compliance should persuade the aggressor that what they are trying to achieve will lead to a Pareto-suboptimal outcome and even death. These threats, however, must be credible, which as we shall see, in and of itself causes problems. The first is ‘deterrence by denial’: This form of deterrence strategy makes it difficult for the aggressor to achieve his objectives. It seeks to make aggression unprofitable by rendering the target harder to take, harder to keep, or both. This strategy involves placing defensive measures around the object or territory of the adversary’s desire. An example of this is a Ballistic Missile Defence BMD: a system, weapon, or technology involved in the detection, tracking, interception, and destruction of attacking missiles. Although Britain does not possess such capabilities, in theory membership of NATO secures its protection. 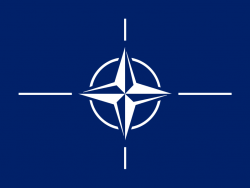 The funding of NATO, as the defence document suggests will continue: “We will continue to commit significant funds to the NATO Ballistic Missile Defence (BMD) network, as well as supporting research and development initiatives and multinational engagement through the UK’s Missile Defence Centre”. As technology improves deterrence by denial is becoming not only more advanced but also more effective in achieving its aims. But many strategists, politicians and most notably those of the scientific community remain sceptical. The second is ‘encouraging restraint’: This diplomatic or, as Nye would term, ‘soft power’ tool, should be used from the outset and in conjunction with each deterrence strategy. Increasingly deterrence is about persuasion; the ability to influence decisions and to change what the other actor perceives is right/ just. An aim of this strategy is the transformation of potential aggressors into willing allies, thereby eliminating the threat. If the reason for their cause or indeed crusade can be identified then negotiation or even appeasement can be attempted. This is by far the most cost effective and robust deterrence strategy, but despite this remains the most underutilised. The reason? This strategy forces a state to think about its reputation, position and reputation in the international community, and the entirety of its Foreign Policy strategy. This may highlight some murky history and force the state to make tough choices or economic sacrifices, which may be detrimental to its most powerful stakeholders. Many states are unwilling or unable to do so. The third is ‘delegitimization’: This form of deterrence consists of taking away the aggressors’ support, financial networks and sources of material and non-material power. With a lack of resources, general community support or more formal alliances the threat posed is minimised, leaving the aggressor powerless. Intelligence gathering and espionage is the principle means for this strategy, but the process is tedious. In asymmetric situations, where actors are decentralised, networks are well hidden and multifaceted, which makes reconnaissance missions all the more difficult. The last two adapted forms of deterrence strategy come under the new banner of ‘comprehension’. This is the fourth ‘C’ of deterrence framework: Capability, Credibility, Communication and Comprehension. It seeks to expand the thinking with regards deterrent threats, traditionally based on positivist, rational, game theoretical assumptions to an active psychological and sociological understanding of the adversary’s position and the reason for its revisionist tendencies. Despite this more holistic approach to deterrence, the current government’s rhetoric is far from encouraging. The UK is one of only five countries with legitimate nuclear deterrence capabilities as detailed in the much-contested Nuclear Proliferation Strategy signed in 1968 and needless to say, it voted against the recent UN resolution on disarmament. After the US, the UK has the second largest defence budget in NATO and the largest in the EU. The national security and defence policy, while stressing a commitment to eventual nuclear disarmament (ambiguous to say the least), has pledged its on-going and increased financial support for both domestic and NATO based military spending. 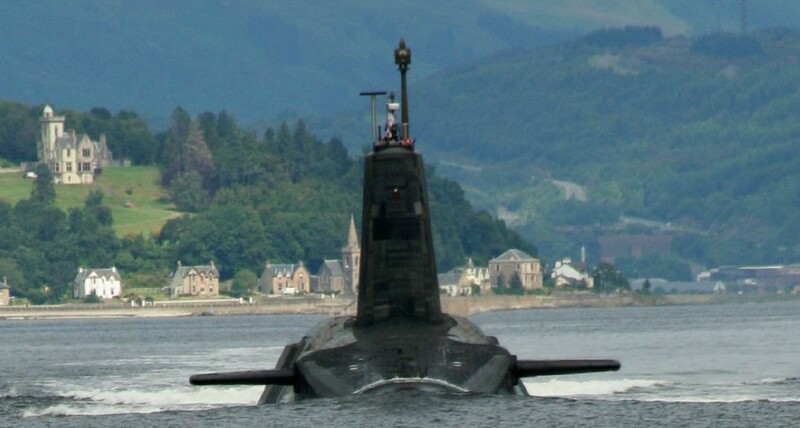 The document goes on the pledge continued support for maintaining, “the UK’s national nuclear deterrent, based on a ballistic missile submarine, for as long as the global security situation makes that necessary”. The increasingly risky behaviour of Russia is cited as a reason for concern in this regard. The insecurity posed by Putin’s expansionist tendencies and desire to rekindle a soviet empire in the ‘near abroad’ poses risk to Britain’s NATO allies. Recent military advances into Crimea and missile deployment in the European enclave of Kaliningrad do nothing to increase confidence. 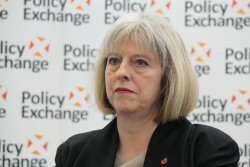 Further evidence to support the UK’s hard-line deterrence strategy came in one of Theresa May’s first acts as PM; the renewal of the Trident nuclear programme. A programme that will cost the public 40 billion pounds. Asked if she would approve an attack that could kill 100,000 people, she answered with a decisive ‘yes’. The problems that arise for Britain – hardly the empire that it once was – from being in this nuclear club are manifold. The most obvious being that, paradoxically, it could put the state at greater risk of attack. The so called ‘Revolution in Military affairs’ is a phenomenon brought about by technological change at unprecedented speed; the costs of keeping up with the US, Russia, and China are immense. With the British economy facing a downturn in the wake of Brexit, outdated equipment may impede its ability to defend itself. Another commonly cited problem is that the weapons are not independently manufactured. The Trident missiles are built by Lockheed Martin in the US and are serviced by the US Navy at Kings Bay, Georgia, USA, along with the Trident missiles for America’s nuclear-armed submarines. The ‘independent nuclear deterrent’ is nothing of the sort. “We continue to believe that the costs of developing a nuclear deterrent relying solely on UK sources outweigh the benefits. We do not see a good case for making what would be a substantial additional investment in our nuclear deterrent purely to insure against a, highly unlikely, deep and enduring breakdown in relations with the US”. It is worth thinking about what the stance is now that Donald Trump is President-Elect. He might not directly have the codes to Britain’s nuclear arsenal, but he could undoubtedly pull the strings regarding where and how they are used. Lastly, comes the issue of Scottish independence. All Scottish National Party MPs opposed Trident renewal and in the recent Holyrood elections, the pro-independence party has once again won a majority, making another vote increasingly likely. Not to mention the uncertain future of HMNB Clyde at Faslane, the home of Britain’s nuclear submarines and already a serious point of contention among the Scots. The divisive issue has further weakened the UK’s credibility and could pose a threat to national security. Although Mr. Taylor’s words were encouraging, it seems Britain’s reliance on strong words and strong (traditional) deterrence are here to stay. But it begs the question – is national security playing second fiddle to the notions of prestige and entitlement that undoubtedly exist as a member of the nuclear club? Old ways of thinking must be supplanted with new theories and strategies if we are ever to resolve increasingly complex global threats. There is no doubt that this new way of thinking about deterrence will be of benefit to both future theorists and policy makers, but the Government must now follow through. To invoke the proverb: “If you know the enemy and know yourself, you need not fear the result of a hundred battles”. In the wake of recent foreign policy blunders, maybe the MoD is finally coming around to this way of thinking; lets hope those at the helm are equally inclined. Aine Clarke is a current M.A. Student of International Political Economy with a strong interest in Security and Strategic studies.